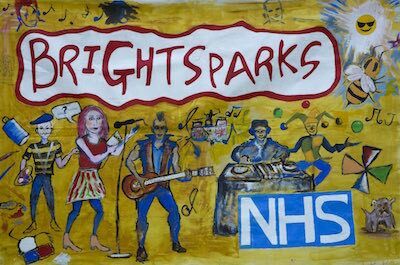 BrightSparks is a community of mental health service users, volunteers and other interested people that use the arts to promote positive images of mental health and wellbeing. We exist to support, and showcase the creative talent that exists within the mental health community through a growing number of creative groups and projects. Robots V Zombies - Comedy Asylum 2019! WHERE? : Bradgate mental health unit and the Evington Centre.